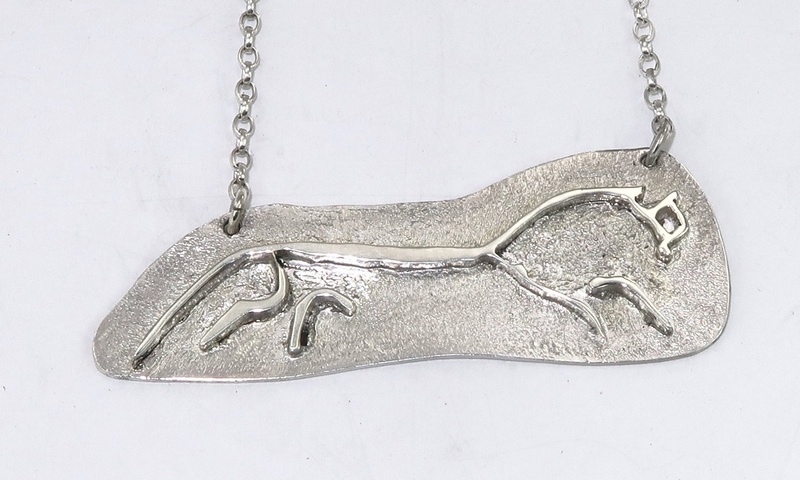 My work is carefully finished and is not silver or rhodium plated. I expect it to last in good condition for years and years. When I email to confirm despatch, I advise what I think is the best method of cleaning that particular item is. If an item has a stone mounted in it then it will need extra care, but generally any proprietary silver cleaner should be fine. You should consult the instructions for the product. 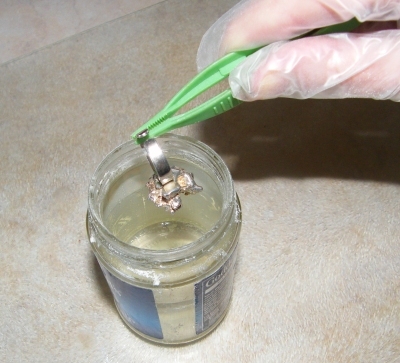 Goddard’s Silver Dip™ is great for chains and complex surfaces. Always wear gloves and possibly eye protection and follow the manufacturer’s instructions. It can be messy, so old newspaper over your work surface or an easily cleaned glass plate, as below, is sensible. This product seems to be quite common and looks like it is jewellers rouge plus other bits and pieces of detergents and anti-tarnish agents. 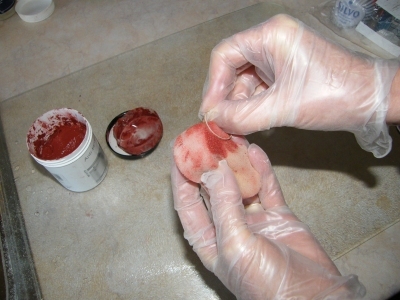 This shows cleaning an irregular piece with a dip. The results can be impressive! 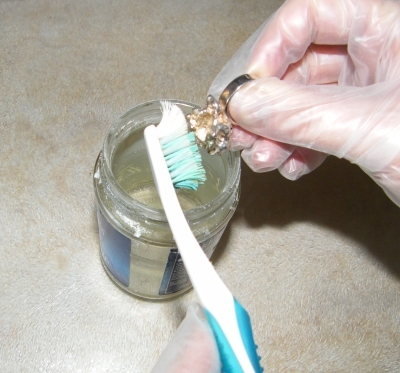 For more tarnished items or big items then dipping an old toothbrush in the dip and gentlly scrubbing often works well. Eye protection is especially important. 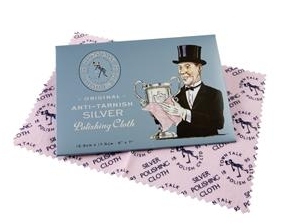 Polishing cloths are convenient for a quick clean, particularly for larger items. I give one of these cloths with every commission or you can buy one for £1.50 as part of a purchase. (See shop).